1. Wide based, moderate framed, with a smooth muscle pattern. 2. 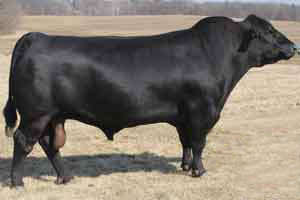 Ranks in the top 1% of the breed for calving ease, the top 4% for $W and the top 10% for $B.